How can you spot the best locksmith? The best Land Rover locksmith in Dallas must deliver service as reliable as your dealership. They must be licensed, bonded and trusted. At Extra Locksmith, we believe that you deserve the best service. We are even better than your dealer because we deliver locksmith solutions wherever you are. Our company has the fastest turnaround time for emergency car lockout calls in Dallas. Unlike other Land Rover locksmiths, Our service has a well-stocked warehouse in Dallas complete with locks, keys, and spare parts for most car brands. We pride ourselves as the only locksmith company in Dallas that has cutting-edge technology and a licensed staff that can deliver Land Rover key replacements right on the spot. 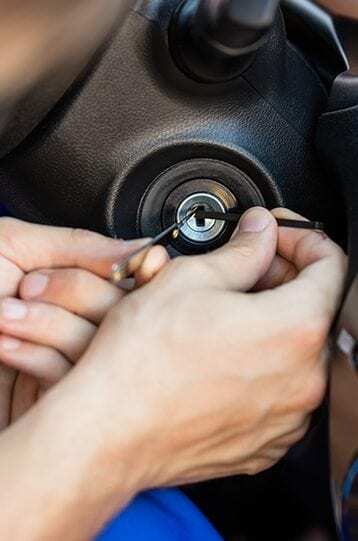 Other locksmith companies and even your dealership will have to source out spare parts elsewhere, we can solve your lock and key problems in less than an hour. Losing your last set of Land Rover keys is one expensive mistake. It will cost you an arm and leg if you go straight to your dealer. Having your car towed and waiting for a week or two just to have your transponder key and remote start unit replaced is such a hassle. If you don’t want this to happen to you, call us at Extra Locksmith Service. Not many people know that there is a better alternative to your dealer when it comes to Land Rover key cut and key made. Extra Locksmith Service in Dallas is your preferred provider of onsite Land Rover keyless remote replacement and transponder keys duplication. We are also Dallas’ trusted mobile locksmith for Land Rover spare key service and emergency roadside assistance. It is rare to find to find a company like us that can give reliable and onsite Land Rover fob key and remote start replacement service anywhere in Dallas. We offer the same quality as your dealer, but we are way cheaper and faster. With us, there is no need to wait for days just to have your Range Rover keys cut and programmed. Just call us and you can have your new set of keys in less than an hour. We are also the right company to call whenever you are stuck and need to open your car door. Just call us and we’ll provide roadside assistance in 15-30 minutes. We cater to all Land Rover cars and SUVs. We have the technical expertise and the technology to replicate and reprogram your keys. With us, you can get back on the road fast. Land Rover cars have advanced key technology that is difficult to replicate. Only a handful of Land Rover locksmiths in Dallas has the technology. The know-how to work around Land Rover’s anti-theft security locks and keys. Extra Locksmith Service knows Land Rover cars best. When you need to get your locks and keys done right the first time, call us. Some Land Rover locksmith in Dallas service companies charges hundreds for Land Rover key replacement. There are also some small-time locksmiths that charge less but you are not assured if their keys will work. A Land Rover key cut the wrong way might make your car start and run for some time. Eventually, these keys can damage your ignition, potentially costing you thousands of dollars in damages. At Extra Locksmith, we do fast, reliable and affordable locksmith service. Don’t gamble and make the mistake of choosing other locksmiths. Having advanced key technology is difficult to replicate. Only a handful of Land Rover locksmith in Dallas has the technology and know-how to work around Land Rover’s anti-theft security locks and keys. Extra Locksmith knows Land Rover cars best. Whenever you need to get your locks and keys done right the first time. There are also some small-time locksmiths that charge less but you are not assured if their keys will work. License: #B20625A We are here to serve you, give us a call today.